“As a condominium manager in Philadelphia, I deal with many realtors. Stephen and his team are exceptional! They are responsive and thorough. Everyone he works with is always satisfied.” - Karen A. “Stephen provided individual attention in the selling of our condo. We received the right price and all aspects of the sale went smoothly. On behalf of my daughter and me - Thank you Stephen!” - Jack M.
“Stephen knows the area and can speak to various neighborhoods. We had no familiarity, but Stephen always took the time to not only show us homes but also the character of the community.” - Eya Y. “I cannot say enough wonderful things about Stephen and his team. He was so easygoing, approachable and respectful that there was no hesitation in asking him to serve as dual agent. ” - Ruth C.
“Stephen made what was a difficult sale into a learning experience with his enthusiastic attitude. We were so fortunate to have worked with Stephen and give him the highest recommendation. ” - Anne S.
Stephen Ferguson, leader of the “Stephen Sells Philly” team for Compass, has more than 17 years experience representing buyers and sellers in Philadelphia and its surrounding suburbs. His top-producing team is a consistent leader in the country. Stephen and his team are consistently recognized for their sales volume and are among the top tier of REALTORS throughout the country. His extensive knowledge of Philadelphia’s residential real estate market is exceptional. Stephen’s clients value his integrity, vivacious energy, and insider knowledge. He prides himself on giving all of his clients up-to-date feedback on market trends, comparable property values, and what to expect in today’s market. 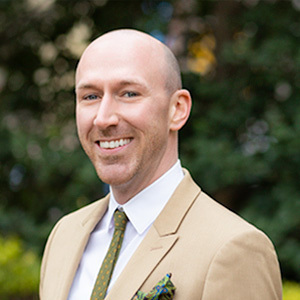 Based in Rittenhouse Square, the “Stephen Sells Philly” team provides extraordinary service and expert insight into Philadelphia’s distinctive neighborhoods.